Team GB | Abandon Spoon! I’ve really enjoyed that past couple of weeks, being at some of the venues and also watching the Olympics on the TV. London really has done us proud and everyone’s mood has been lifted. I’m not sure what I will do with myself while waiting for the Paralympics (oh yes, maybe some baking!). 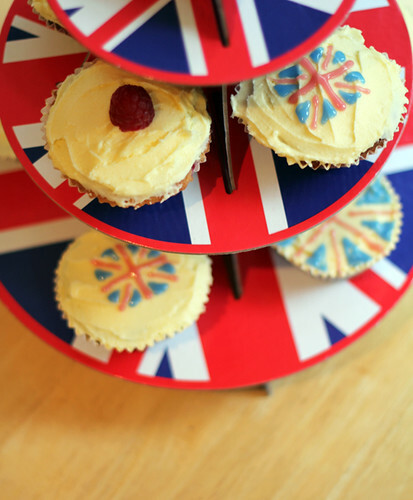 Last weekend in the spirit of the Games and to support Team GB I baked these Olympic inspired cupcakes, with a white chocolate and raspberry filling.